Introduced in late 2012, the iPad mini was as slow as the iPad 2 (which was then almost two years old). It didn't have the gorgeous Retina display that Apple had added to the iPad earlier in the year. But none of that mattered because, for some people, smallness rules. The original iPad mini might not have been on the cutting edge, but it was half the size of the full-size iPad and half the weight, and those two facts mattered more than a state-of-the-art processor or a pretty screen. But why compromise when you can have it all? The new iPad mini with Retina display is here, and it eliminates the original mini's two biggest failings by adopting Apple's A7 processor and gaining a gorgeous high-resolution screen. The only catch is that the iPad mini is no longer half the size of the iPad: With the introduction of the iPad Air and slight increases to the thickness and weight of the mini, the latter is now roughly two-thirds of the size and weight of its larger counterpart. The lines separating large and small iPads have blurred. But fans of the smaller iPad should still rejoice. The iPad mini with Retina display addresses every weakness of the previous model. It's the iPad mini Apple probably wished it could have made in 2012, but just couldn't. The Retina iPad mini has the same collection of ports as both the iPad Air and its own predecessor: a headphone jack, Apple's Lightning connector port, and (on cellular models only) a SIM slot. As on the iPad Air, there are now two microphones on the mini, rather than one. Apple says this improves audio when you're shooting videos or video-chatting via FaceTime. The rear-facing camera remains a 5-megapixel model that won't win any awards but will do in a pinch, and the front-facing camera has been slightly upgraded, with a sensor that should improve image quality in low-light FaceTime sessions; these are the same cameras you'll find in the iPad Air. The Retina mini's small stereo speakers also seem the same as those in the non-Retina model; they're placed so close together that it's difficult to notice much stereo effect. The Retina iPad mini measures 7.87 inches long by 5.3 inches wide, and 0.29 inch thick. That's the same thickness as the iPad Air, but it's three-tenths of a millimeter thicker than the non-Retina iPad mini. A veteran iPad mini user could probably notice the difference when holding the device between thumb and forefinger, but it's almost imperceptible. It seems unlikely that any accessory engineered for the original iPad mini would not also work on the new model; in my testing, Apple's $69 iPad mini Smart Case and $39 iPad mini Smart Cover both worked just fine. This new iPad mini also weighs more than its predecessor, owing in large part to a larger battery that has a capacity of 24.3 watt hours (compared to the original iPad mini's 16.3 watt hours). The Retina model is between 20 and 30 grams (or roughly 7 percent) heavier than the non-Retina mini. (The full-size iPad gained roughly 8 percent when it went Retina.) For those weighing their iPad options, the Retina iPad mini is nearly 140 grams lighter than the iPad Air. But while the iPad mini with Retina display is lighter than the iPad Air, it's actually more dense. Picking up the iPad Air, it feels almost impossibly light; as with the iPhone 5 series, it's a bit like picking up a cardboard tablet sitting on a desk at a furniture store. The Retina iPad mini definitely feels weightier, like a whole lot of technology got packed into a very small space. And that's an accurate impression: This is a device that's only slightly larger and heavier than the non-Retina iPad mini, but has a full-on Retina display and a modern A7 processor. In a year, Apple has taken a device that was small and light but equipped like an iPad 2, and replaced it with one that's still pretty small and light, but equipped like an iPad Air. It's a good display, too. It's not quite as bright as the Air's screen, but the difference is barely noticeable. Colors are displayed uniformly, gradients are smooth, and viewing angles are wide. The colors on the iPad mini's screen don't seem to be quite as saturated as those on the iPad Air's, but it's still a fine-looking display; there's nothing cheap-feeling or cut-rate about it. One of the problems with the original iPad mini's display was that it was doubly compromised: Not only was it not a Retina-caliber display, but it was also physically smaller than those of the full-size iPads. The result was that many apps (most notably magazine and comic-book apps, but there are many other examples) just looked a little too small on the iPad mini. Buttons got smaller, text got smaller, and unless an app's developers specifically worked to support the iPad mini, users were left with a low-resolution screen full of type that was just a little bit too compact. The smaller-size thing is still an issue here; an app designed for a full-size iPad will now display on the iPad mini at Retina resolution, but everything is still a little bit smaller than on the iPad Air. Reading a magazine or a comic book on the Retina iPad mini is a better experience than on the original mini, because while things are still small, at least they're clear. If you were born in the 1970s or later, you'll find that reading comics on the iPad mini is a good experience. If you're a child of the 1960s or before, you may want to give your aging eyes a break and opt for the iPad Air instead. The other reason the original iPad mini lagged behind was its A5 processor, the same one introduced with the iPad 2 in the spring of 2011. It's a serviceable CPU--Apple's still selling the two non-Retina devices it powers--but it's not a fast one. By comparison, the A7 processor in the iPad mini with Retina is the same chip being used in the iPad Air and the iPhone 5s. The iPad mini is now state-of-the-art. However, there's a caveat. Though the iPad mini with Retina felt completely responsive and never lagged in my use, our speed testing did show that it's not running at quite the same speed as the reigning iOS speed champ, the iPad Air. That's because the iPad mini's A7 processor runs at a slightly lower clock speed than the one in the iPad Air. In real-life use, though, I'm not sure the speed difference between the new mini and the iPad Air matters much. The difference in speed between the iPad mini with Retina display and the original iPad mini, however, is dramatic. Geekbench scores for the Retina model were five times that of the original model; in Web-based tests the Retina scores were roughly three times that of the original. Higher score is better in all but SunSpider. Best results in bold. Why the slower clock speed on the A7? My guess is that it's to guarantee solid battery life and possibly to keep heat down. Possibly in reaction to all those reports of overheating iPads when the full-size model first got a Retina display, many people seem to be concerned that the iPad mini with Retina might run hot. But in a full day of use, it never seemed to me to get much more than slightly warm--and that was when it was restoring a dozen apps and downloading a bunch of HD videos from the iTunes Store. On the battery front, Apple seems to have decided that iPads should last for about 10 hours. That's been the target since day one, and the company keeps designing its products to hit that number. That's why the Retina iPad mini's battery is so much more capacious than the original iPad mini's, and that engineering effort has paid off. In our lab tests (which involve looping high-definition videos until the iPad gives up the ghost), the iPad mini with Retina lasted an impressive 10 hours, 42 minutes. That's actually longer than the iPad Air lasted--in the same test the Air ran out of juice just a couple of minutes shy of 10 hours. The iPad Air and iPad mini with Retina are so similar that they share the same areas for improvement. The first is the camera. You get the sense that Apple is not a serious believer in iPad photography, which is why the camera on the iPad lags behind those on the iPhone. But, ridiculous as it might sometimes seem, taking pictures with the iPad is something that people want to do. Maybe Apple should embrace it and truly upgrade that camera. That means adding a flash, too. Then there's the Touch ID fingerprint-sensor technology that's available on the iPhone 5s. These days Apple seems to be strongly suggesting that locking your iOS device is important. iOS 7's setup screen strongly encourages users to set up a passcode lock, and iCloud Keychain is disabled entirely if your device doesn't have one. If we're all being encouraged to input passcodes, perhaps a simpler way of verifying our identities on our iPads would be welcome. The iPad has always been the subject of criticism from people who don't think tablet devices are suitable for "real" work. 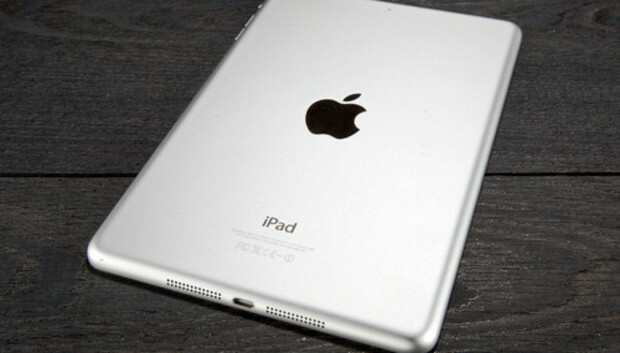 But if the iPad has been faced with skepticism, the iPad mini has faced a sea of disbelief. "If you think you are going to do any work on your tablet...consider the bigger version," declared the New York Times in its review of the new mini. But the iPad mini with Retina has all the power of the iPad Air. It can do just about anything, given the right software. The Retina iPad mini is roughly six times faster than the original iPad. It's got a 64-bit processor and the kind of computing power that only a few years ago we'd have expected from a professional-level laptop. Yes, its screen is small, and that can make using the iPad's software keyboard difficult. If you have larger fingers, you will find the wider spaces of the iPad Air's display more comfortable. People who type quickly on a hardware keyboard may find the iPad Air's keyboard too tiny for fast typing; by comparison, the iPad mini's keyboard is downright claustrophobic. But those arguments lead back to the core fact about the iPad mini: It's smaller than the iPad Air--and that's about it. If you want more space to spread out to do your work, get the iPad Air. But the iPad mini can do the job, too. If you're a writer and you use a Bluetooth keyboard to write on the iPad, it doesn't matter if you're using the iPad mini or the iPad Air. In fact, if portability is a priority, the iPad mini is a better choice--because it's just that much easier to carry around. So you've decided you want to buy a Retina iPad mini. Now pick your poison: As with the iPad Air, there are 16 different configurations to choose from. Once you've decided between white/silver and black/gray, you'll need to settle on storage and networking options. Apple is offering four storage choices, from 16GB to 128GB; you'll pay an extra $100 each time you double the storage capacity. These days I have a hard time recommending the 16GB model to anyone, really. I bought a 16GB iPad mini last year and almost instantly regretted it; my wife has a 16GB third-generation iPad and has made me swear that we'll never buy a 16GB model again. It might be enough storage for very light use, but if you're reading this review I suspect you are not a casual-enough user to settle for the 16GB model. As with all previous models of the iPad, Apple is also offering cellular-capable models of the iPad mini with Retina display for a $130 premium over their Wi-Fi-only counterparts. If you're only ever going to use your iPad at home or in other places where there's readily available Wi-Fi, this is a no-brainer. But otherwise, it's worth seriously considering the cellular model. It supports pretty much every format of cellular service, and the SIM card slot is unlocked, so you can switch carriers and even buy a prepaid SIM card when you're roaming internationally. There's no contract commitment required, and carriers offer aggressively priced pay-as-you-go plans. T-Mobile in the U.S. is even offering 200MB of monthly data for free. And an iPad makes a great wireless hotspot, allowing you to connect other devices (like your laptop or an internationally roaming smartphone) via Wi-Fi. Since there's no ongoing commitment, you're really paying an extra $130 up front in order to have the freedom to switch on cellular data when you need it. If you travel with your iPad and have experienced the frustration of not being able to get online, the cellular models are worth considering. The iPad mini was a great size when it was introduced in the fall of 2012, and it's still a great size today. It's small enough to hold in one hand and read like a book, yet powerful enough to pivot into landscape orientation and get some work done. The original iPad mini won people's hearts despite the deficiencies of its processor and screen; the Retina iPad mini has left all of those deficiencies behind. It's small and light and five times as fast as the old mini, but with 10 hours of battery life. People who don't care about having the smallest, lightest iPad possible should give the iPad mini with Retina display a pass and advance directly to the iPad Air. But it turns out that size does matter. And sometimes it's the little things--like the iPad mini itself--that matter most.